Logically, the comparison with Hohner must come here, not only because these are the only two German manufacturers, but also because the comparison of this series Seydel with the Hohner Special 20 series in price and execution imposes. Both cost around 30 euros, are made with brass reeds and a plastic Kanzellenkörper that completely encloses the reeds, so that tongue and mouth get no contact with the brass. This is pleasant and a good starting point for an uncomplicated harmonica just in case. - Specialists will always make their own claims, but with one of these two models in your pocket you are prepared for almost any eventuality. The company CA Seydel Söhne is the somewhat older, much smaller and Hohner the (world-) better known company !? Anyone who likes German handcraft can not think about it, only Seydel guarantees that. Also in Hohner said this model is handmade, the question is only where. Although certain models are still manufactured in Germany, which actually are and what "Made in Germany" then means (final production, assembly, final inspection or really the creation of the complete instrument) that you never know. - As far as a matter of taste, with a harmonica in the truest sense. The quality of the two models is essentially the same. One will find the response to Hohner better, the other Seydel. At least there are no worlds in between, as sometimes between different models of the same manufacturer. I find both equally well playable. According to own data, there are replacement lines for both models at the respective manufacturer, so that the long-term fun should develop in a similar manner. 1. The Seydel has a different shape. The typical unfinished design of the blues or Richter harmonicas, with the like tweaked-looking ends, is due only to the shape of the sound cover and performs the Seydel somewhat modern harmonious to the ends. Looks unfamiliar, makes the little but a real hand and Mundschmeichlerin. 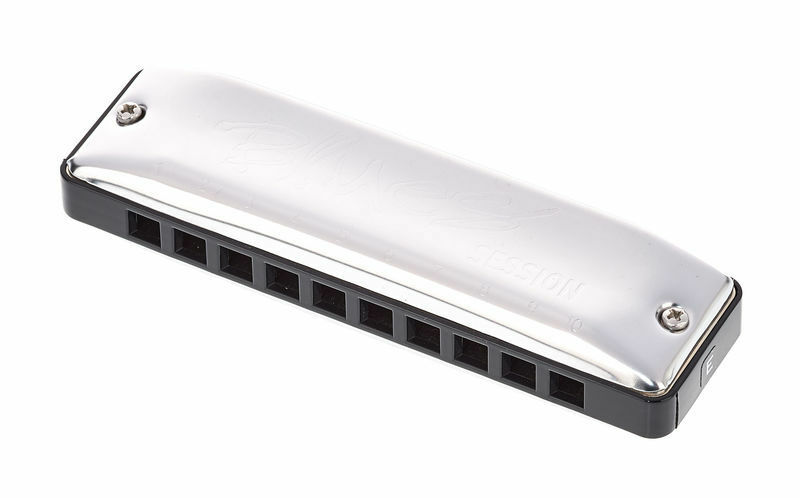 At Hohner, this only offers the "Master Class MS" for 2.5 times and with an aluminum body (aluminum licking again a matter of taste!). When playing the edge holes, which is actually standard in the 2nd position, the sound covers pulled to the edge lie considerably more evenly at the corners of the mouth. For those who need it rough, original and hard, this is of course frippery. The screwdriving acts through the led to the edge lid at Seydel something valuable. On the one hand, the screws are still held in the sheet metal and on the other hand Seydel can thereby use higher and more stable acting screw heads. Finally also a matter of taste. 2. The final decisive difference is likely to be the air ducts in the Seydel models are wider. The Kanzellenkörper are overall about the same width as in Hohner, which means that the webs between the air ducts at Seydel turn out to be narrower, even if they converge inwards again something (conical, nozzle-like). This has advantages and disadvantages. Advantage is, the holes at Seydel are easier to hit because larger. Disadvantage, the gutters help when separating the tones (single-tone) a little less. So, if you're used to playing with Hohner's thicker gutters, especially when it comes to tongue-locking technology and meeting the canal between tongue and mouth, Seydel might need some getting used to. Beginners may need a little longer to learn, but the technique is better then. When chord bubbles it is free reversed, here you get at the wider channels of Seydel at a blurred struck chord rather enough air column at the incompletely caught channels. This might give the beginner a bit more of an uplifting jam feeling. So decide on playing technique, if he does not want to try the adventure of the little fine blacksmith Seydel. To facilitate decision-making, there is instead of just a plastic box as in Hohner, a real leather case, which keeps in its trouser pocket most of the fabric fuzz from the harmonica and a polishing cloth. The bottom line is so in my eyes, the Seydel product, as manufactured at the same price in the Klingental, the currently better grip. 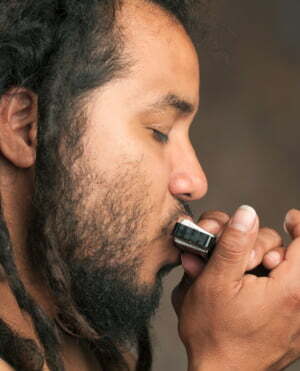 Seydel is a very innovative company, which is all around committed (browse the homepage already opens a rich offer around harmonicas) and produces very noble instruments. With all the imaginable custom-made items including tunings, they are already out of competition with Hohner. That comes at a price, but this model is an entry-level drug in the best sense. ID: 224225 © 1996–2019 Thomann GmbH Thomann loves you, because you rock!